With the East Coast starting the year off with a big windchill, biking to work may not seem like the most appealing New Year’s resolution. It’s freezing outside, there’s snow on the ground, and nobody likes to risk falling into the snow before their first cup of coffee. And yet, biking in the wintertime is one of the most rewarding things you can do for yourself, especially if your route takes you through the streets of Tokyo. After all, the humble bike is an integral part of Japanese civic transport, and as such has claimed an eternal spot in the lives of Tokyoites. Just like in the Netherlands or Denmark, cycling is a yearlong activity in Japan. While Shinjuku businessmen squish themselves into the subway cars of the Yamanote line, a small army of cyclists take to the streets during rush hour. The city of Tokyo alone is the most bicycle-dense megacity in the world, and it is estimated that 16% of all trips made each day are on a bicycle. While most of us put our bikes into storage at the first sight of snowfall, winter is the season when you are actually more likely to see more bikes whizzing around in Japan. It’s not uncommon to see lines of bikers in the streets of Tokyo or Osaka in the colder months, their riders snuggled up against the chill to go to the store, the office, or the post office. 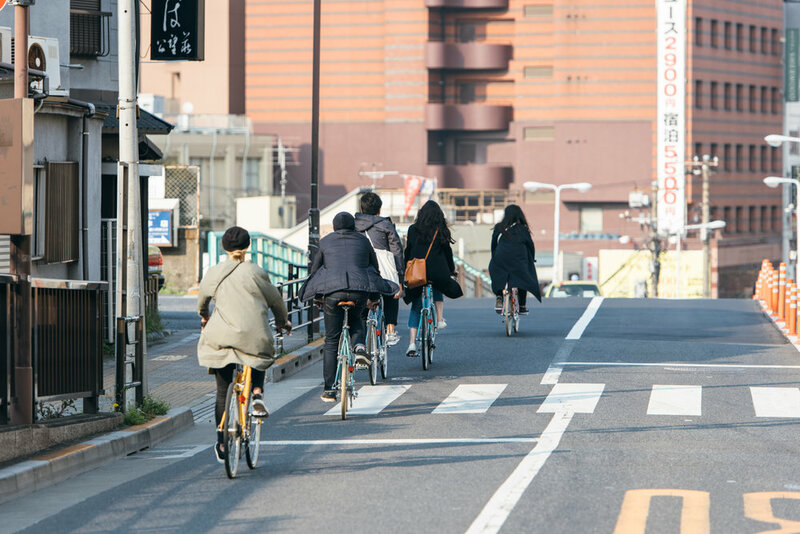 “The Japanese have a very strong communal culture,” says the team at Tokyobike, a Japanese bicycle company based around the concept of Tokyo slow- the idea that cycling, like life, is as much about the journey as the destination. “When it comes to bikes, the more people ride them in the city, the more people become sensitive to the needs of bike riders. It’s not uncommon to find bikes left unlocked on the streets in Tokyo, riders on the sidewalk (a regular habit in the city) and very few bike lanes.” The winding alleys and cramped corners of cities like Tokyo may be too narrow for cars or buses to get through, but they make perfect cycling routes for running a quick errand if you’re in a rush. Photo courtesy of Tokyobike. Credit: Miles & Miles. As a bike-friendly metropolis, Tokyo has no shortage of options for the cycling enthusiast. 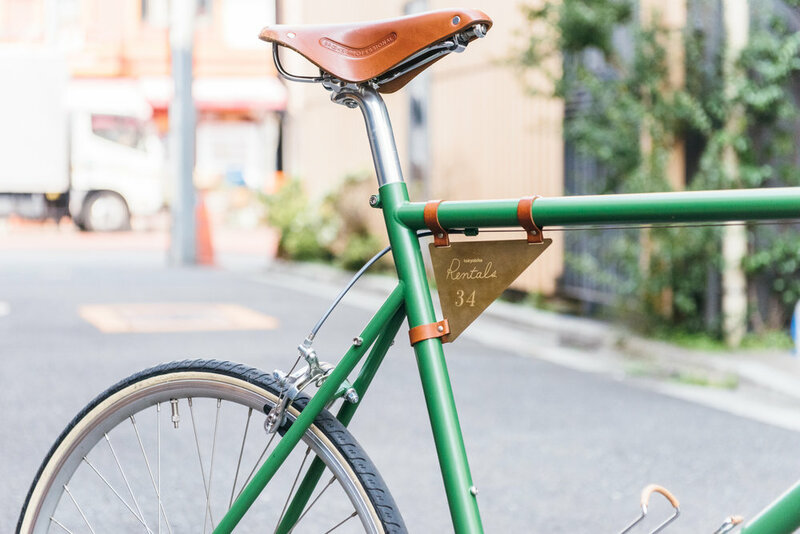 Visitors can stop by Tokyobike Rentals in Yanaka and take in the city sights on their own (very stylish) bicycle. The Kato-Sumiyoshi Architects-designed Bicycle Culture Center houses a collection of vintage posters, international magazines and rare bicycle parts for aficionados to pore over. Inside the museum, slim bike chains are repurposed as space demarcators, and visitors can get lost in the library stacks, which contain over 9,000 publications pertaining to cycling. On the sporting side, keirin is a memorable, if unusual, cycling sport to watch. Described by Wired as “The most extreme sport you’ve never heard of,” keirin involves competitors circling a track on fixed-gear bicycles with no brakes, pacing themselves behind a motorbike for two kilometers before making a mad sprint to the end just inches from each other. Crashes are common and dramatic. Originally developed in 1948 for gambling purposes, keirin evolved into an accredited sport over the years and became officially recognized at the 2000 Olympics in Sydney. Alongside horse racing, boat racing, and Formula 1, it remains one of the only four sports on which it is legal to place bets. Many thanks to Tokyobike for their expertise and generosity. You can find their Tokyo Slow essentials in their online shop or visit their West Coast flagship store, where you'll find some of our own products.